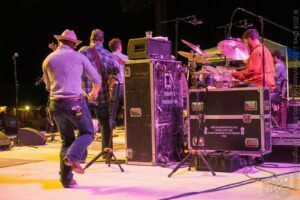 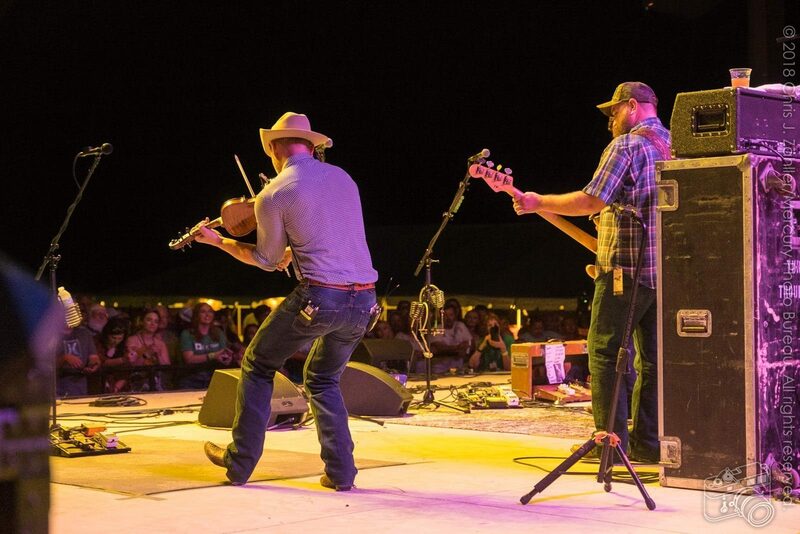 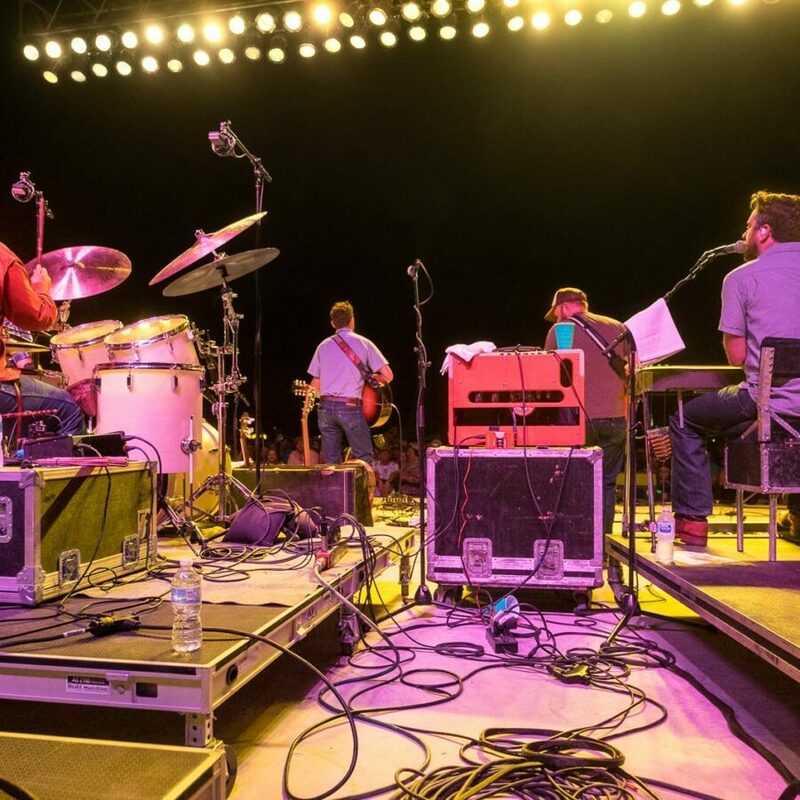 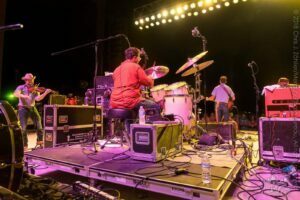 Mark­ing their﻿ Number eleven in our Woodyfest 2018 cov­er­age brings you the chart-topping Turnpike Troubadours. 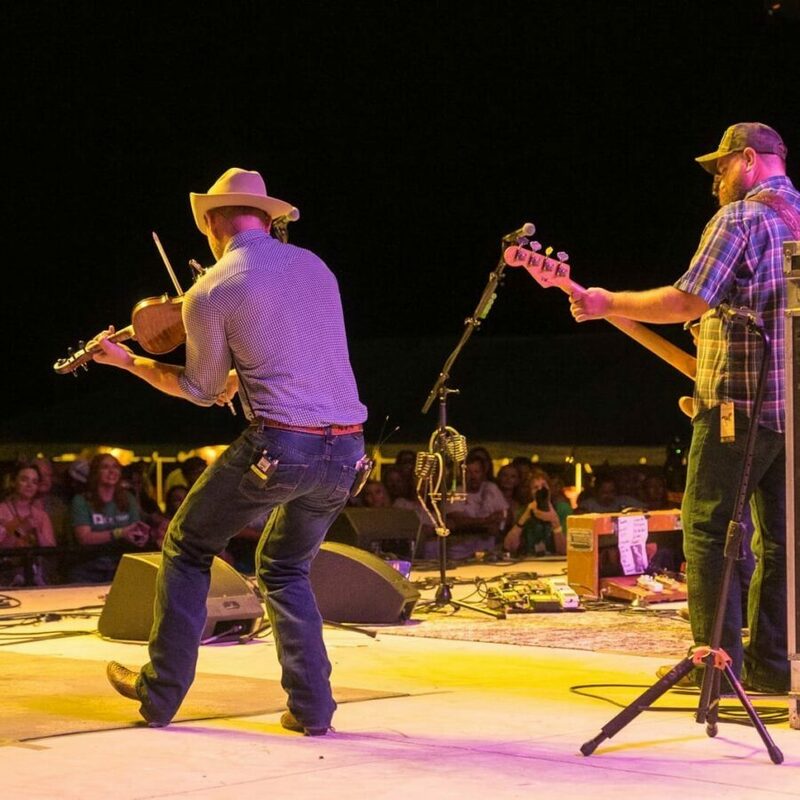 third appear­ance at the Woody Guthrie Folk Festival, the Turnpike Troubadours closed out open­ing night 2018 on the Pastures of Plenty stage. The first time they were meant to do that , our ornery Oklahoma weather dumped rain all over Okemah, mak­ing it one in a series of Muddyfests the fes­ti­val has endured since its incep­tion. 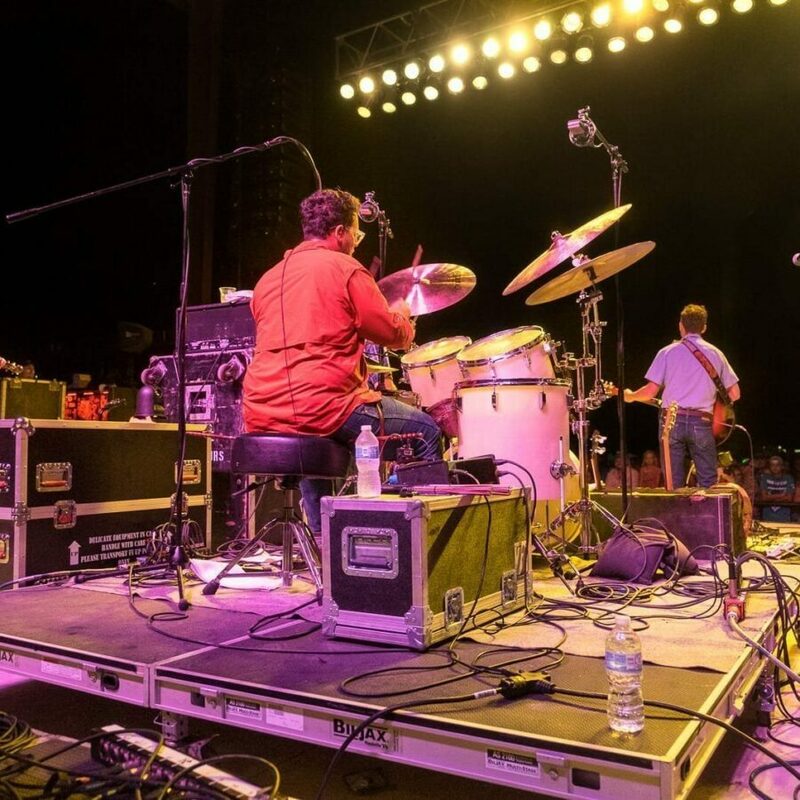 They wound up play­ing the Crystal Theatre to a smaller audi­ence lim­ited by the avail­able seat­ing. 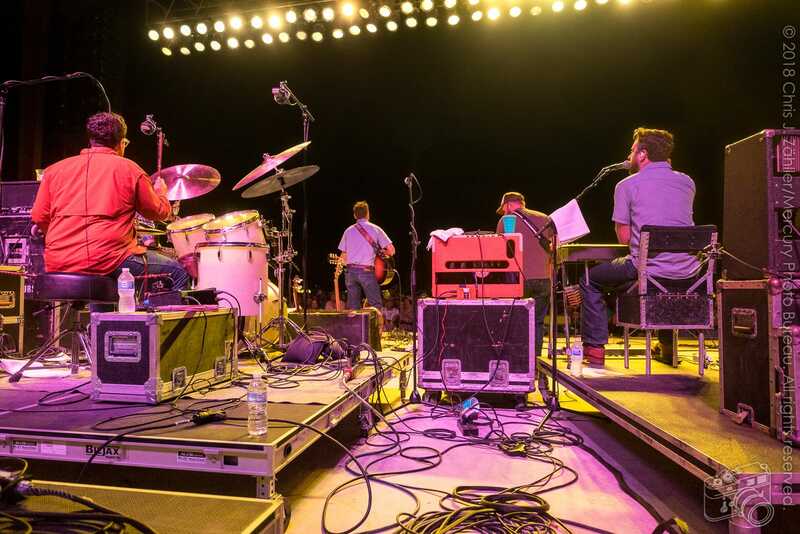 This year the weather coöper­ated, and by the time the Troubadours were onstage the audi­ence were enjoy­ing a cool­ing breeze and a beau­ti­ful, starry sky. This reporter wasn’t assigned to their set, but did take some snap­shots from back­stage. 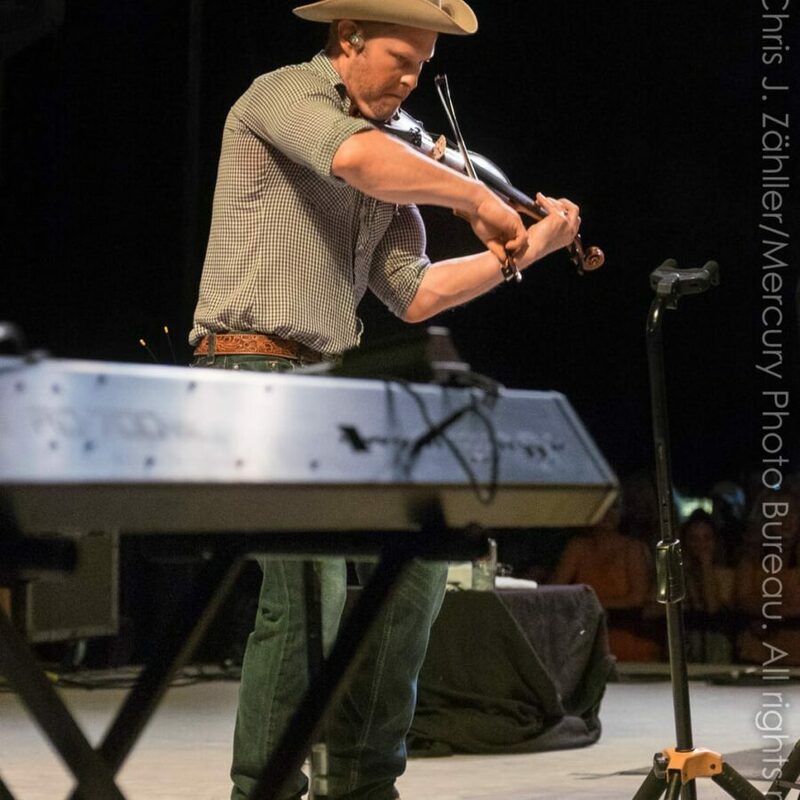 You can see those in the gallery. 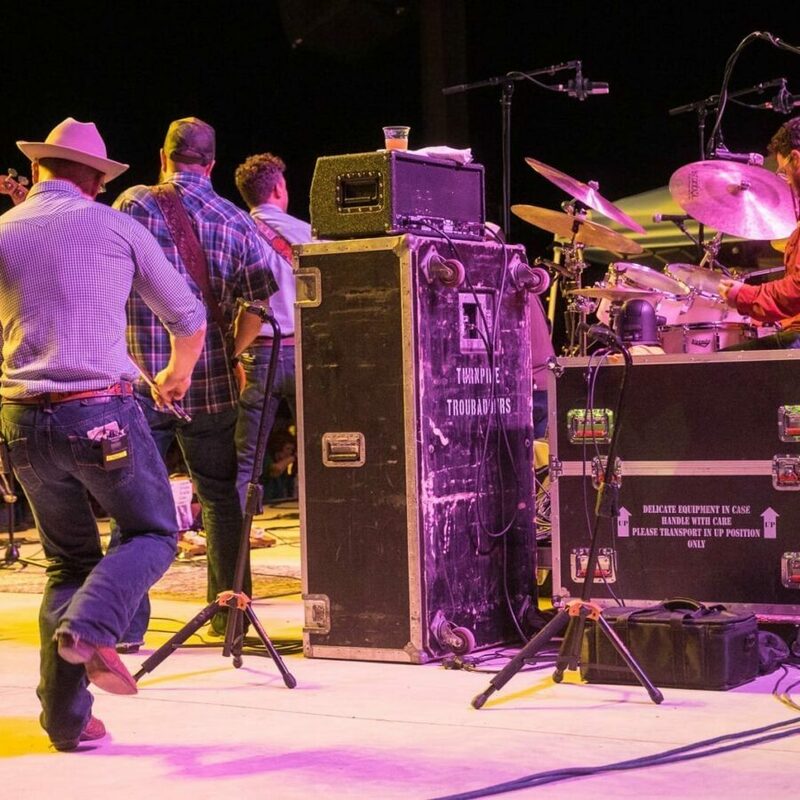 Formed by Evan Felker and R. C. Edwards in 2005 , the Troubadours went into the stu­dio a month later and cut Bossier City because the band needed some­thing to sell at the shows. 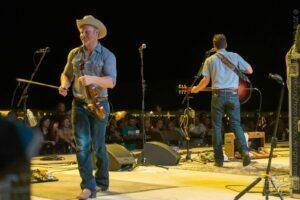 ﻿ Wofford, Jerry, “Evan Felker of Turnpike Troubadours talks on the band’s suc­cess ahead of its Cain’s show,” Tulsa World, (26 December 2015) . 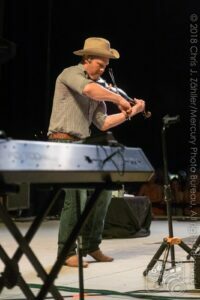 Born of singer and con­tribut­ing song­writer Felker’s desire to emu­late his musi­cian uncle’s foot­steps,﻿ While in high school, Felker used to watch his uncle play rock ’n’ roll at the leg­endary Cain’s Ballroom. 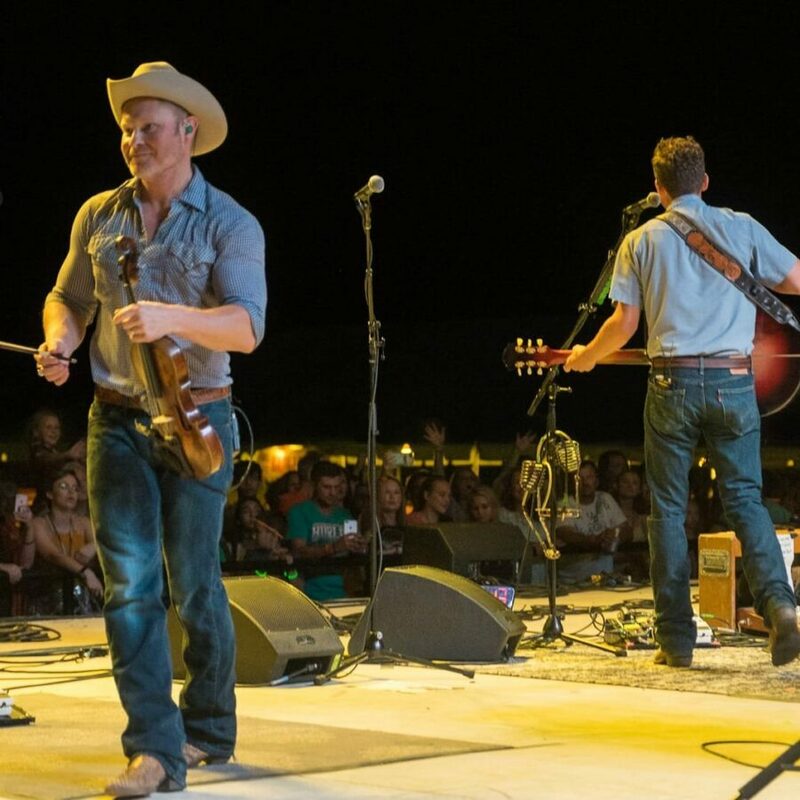 the band has since seen their epony­mous fourth full-length album climb to the num­ber three spot in the Billboard Top Country Albums charts.﻿ Billboard assigned Turnpike Troubadours the posi­tion in their 18 September 2018 chart. Pretty good for a band started by a guy who didn’t even get into coun­try music a lit­tle [until] later on, into [his] 20s. ﻿ ibid.